If you're looking for up-and-coming talent in dance music, here we go with Myam Myam. Originally from the Philippines and now based in the U.K., 22-year-old producing talent Jamie Craven (aka Myam Myam) began making music under his alter ego two years ago and now has released his debut EP on Silver Wave, the new label founded by Dunjinz. Influenced by his passion for Latin beats and his experience as a drummer, he attempts to combine pumping room shaking techno with the more late night dirty dancing, big bass which always ends with a thick bass and very danceable rhythms. 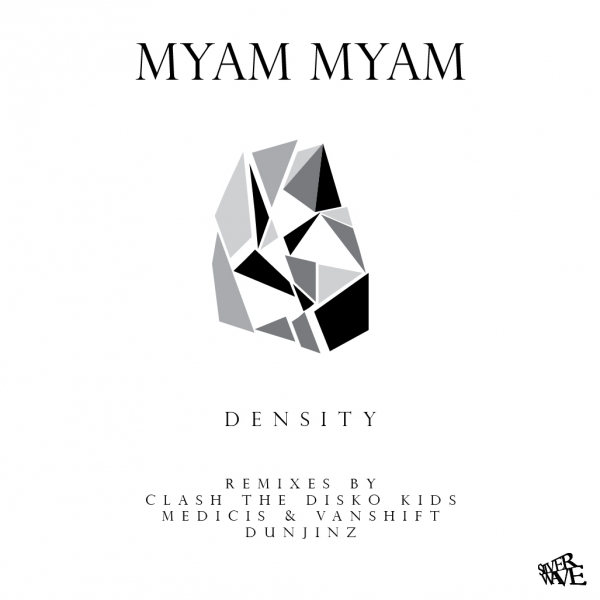 This is exactly what you get from Myam Myam's Density EP. Two screaming and pumping originals and, to complete this, remixes by Clash The Disko Kids, Medicis & Vanshift and Dunjinz. As a special gift for EARMILK readers, you can download an edit of "Solidity" by Belgium duo Ego Troopers exclusively below. If you like what you hear from Myam Myam, expect more this year like remixes for Filiber, Les Tronchiennes and the Mustard Pimp/Blatta & Inesha collaboration. Myam Myam also forged a collaborative partnership with Italian duo The Rox. I'm sure there are more originals on the way from them.